August at XYZ meant outreach to the Los Angeles tech community. 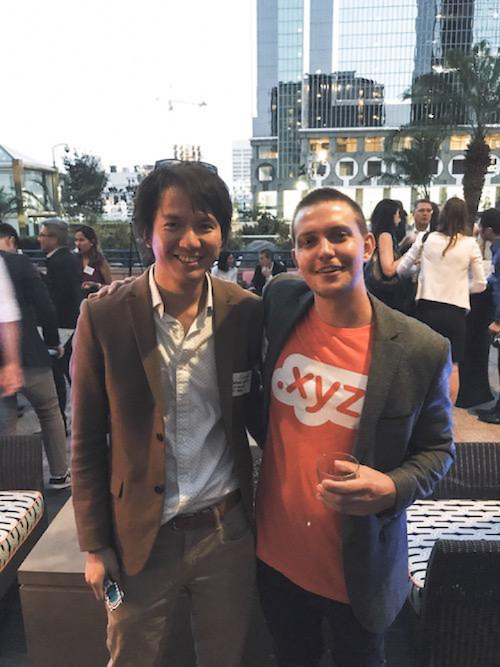 From talking with entrepreneurs and engineers at happy hours across the southland, to tabling at the LA Tech and Startup Bash, XYZ made its presence in, and support for, LA tech known. 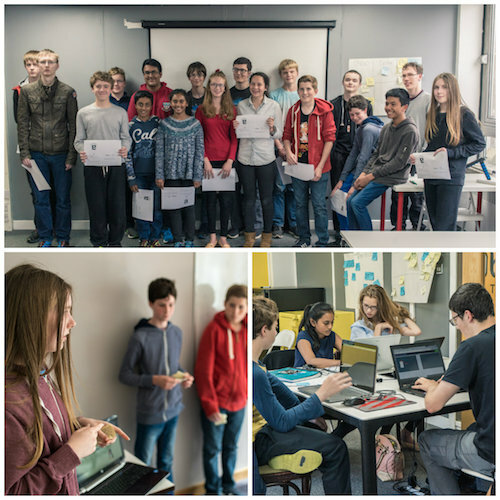 Our partners at CoderDojo and Product Forge continue to support the next generation of internet users through their Prewired Summer Hack 2017 teen coding course in Edinburgh, Scotland. 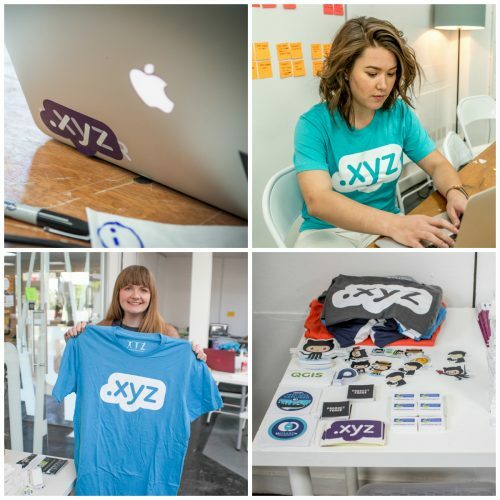 This August, the program put on a week-long hackathon and all the projects were given access to .xyz domains. Check out their highlight video for more! If you are interested in partnering with XYZ to help the next generation of internet users build the future of tech, contact us today! Team XYZ sponsored the inaugural LA Tech & Startup Bash hosted by Schmoozd and Expert DOJO. 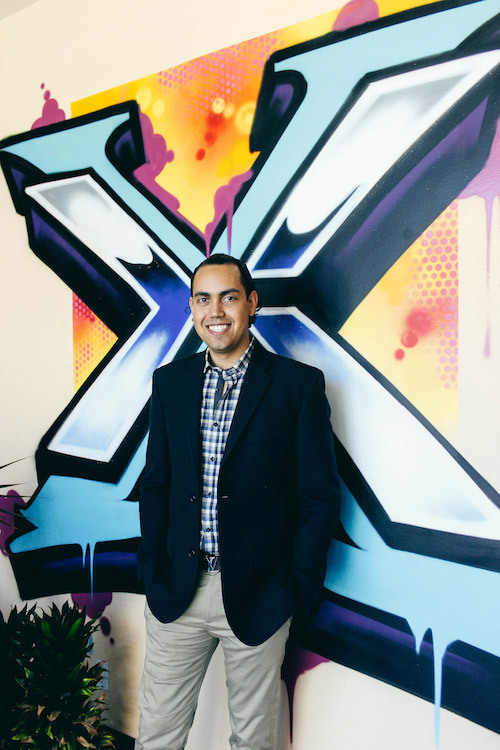 XYZ joined TriNet, Sachs Marketing Group, Cornerstone OnDemand, HotStartupJobs, and other LA companies to reach more than 200 entrepreneurs. 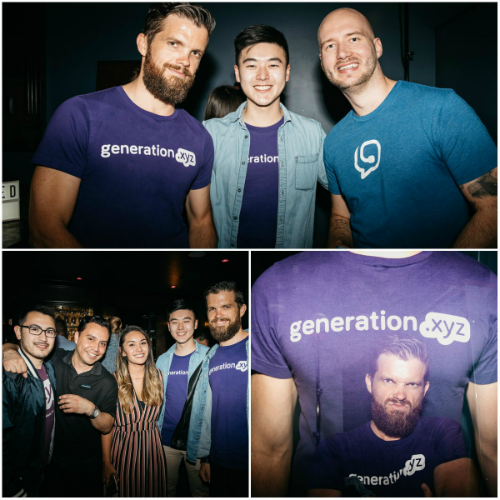 We gave out stylish XYZ shirts and tote bags to every attendee, and our purple people tore up the dance floor. 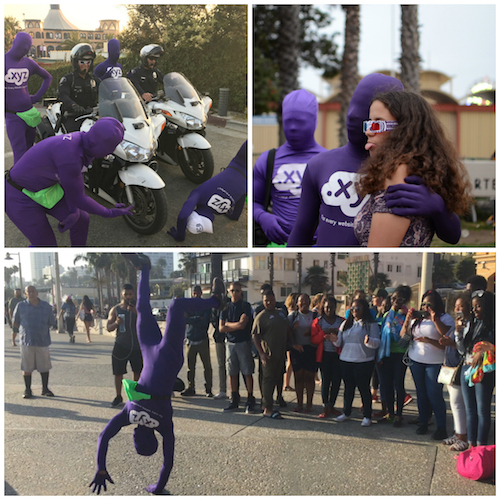 The #XYZsquad made a big impression with everyone at the event and we can’t wait for the next bash! On August 21st, a complete solar eclipse traversed the contiguous United States. XYZ, while not in the path of totality, nevertheless was able to observe a beautiful partial solar eclipse. Four nations across Asia – India, Pakistan, Indonesia, and Malaysia – celebrated their independence days in August. We joined with regional registrar partners to run special commemorative sales to mark each occasion, and highlighted a stellar use-case from each country. 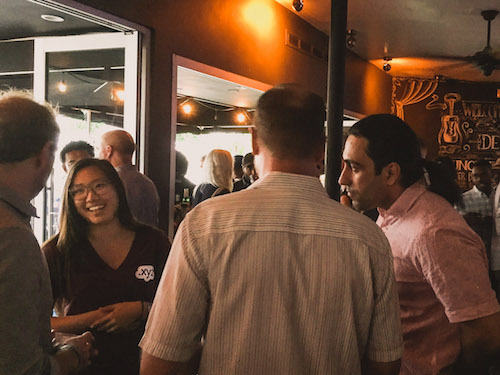 Team XYZ attended the Culver City Tech Happy Hour to talk to dozens of professionals from around Culver City looking to establish the neighborhood as the next hub. We discussed startup strategies with event organizer AirFive, and talked about end-user FoodBlockChain.xyz with the representative from Chewse. See more great .xyz users! XYZ continued its tour of West LA’s tech neighborhoods with a visit to the Happy Hour at The Bungalow Santa Monica. We distributed glasses and even helped actress Kat Bingham get a domain to act as her portfolio. Become a part of Generation XYZ! 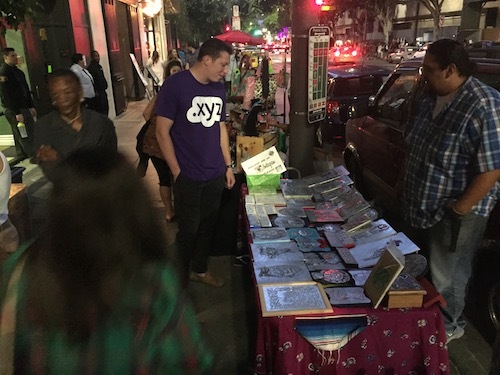 Here’s Jeremy from Team XYZ taking a break from the tech scene to mingle amongst art loving Angelenos at the LA Art Walk & Night Market in historic DTLA. One of the artists even did a quick freestyle about our shirts! It was a memorable night full of food and fun for XYZ. 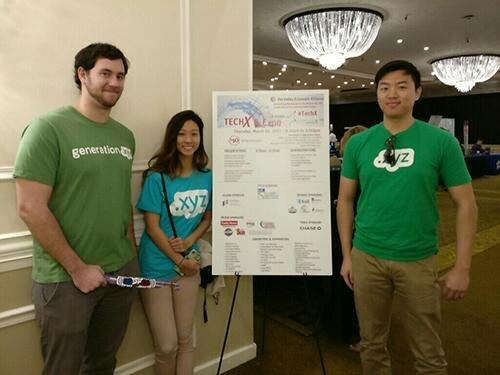 Team XYZ met with dozens of CEOs and small startups looking for website help at the Silicon Beach Santa Monica Mixer. Everyone knew about .xyz from Alphabet, Google’s parent company, and were eager to tell us about their plans to join the #GenXYZ community. We can’t wait to see what websites get made! XYZ gets nominated twice for the LA Timmy Awards! We were nominated for the Los Angeles Timmy Awards for Best Tech Workplace for Diversity, and our CEO Daniel Negari was nominated for Best Tech Manager. Make sure you vote for XYZ and Daniel today! Remember to check the XYZ blog every Wednesday to read our #WebsiteWednesdays, and be sure to come back next month to get all the highlights from September. For daily updates on the #XYZsquad, follow us on Facebook, Instagram, and Youtube! July gave Team XYZ the opportunity to meet face to face with some of Southern California’s rising tech stars, reach tens of thousands of people at two of the nation’s largest pop-culture conventions, San Diego Comic-Con and Los Angeles Anime Expo, make inroads at China’s Global Domain Summit 2017, join with partners to educate Bangladeshi startups, and talk the ins and outs of security at Blackhat 2017. 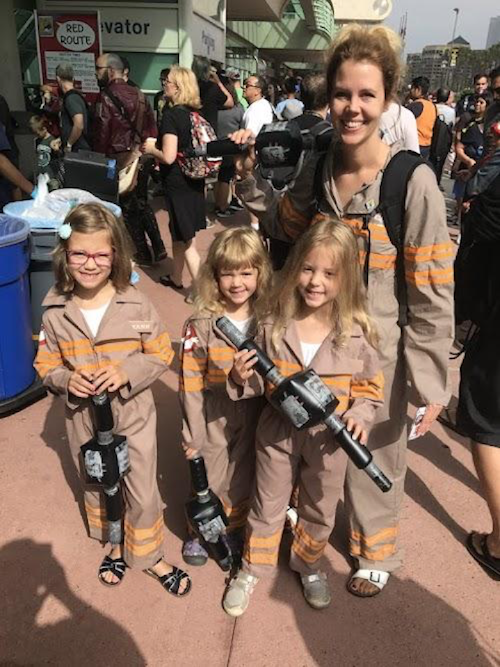 San Diego Comic-Con is one of the biggest entertainment events in the United States, drawing well over 130,000 people to the San Diego Convention center for everything related to their favorite media. 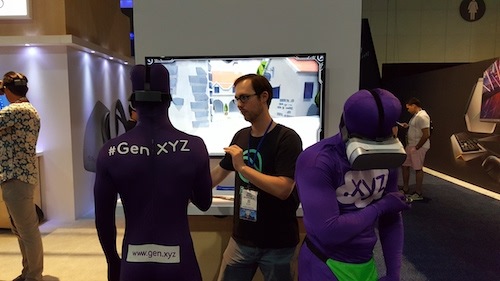 Our intrepid social media team made the journey and spread #GenXYZ to the convention center floor, all around downtown San Diego, and of course, over in the artist’s alley. For more about our Comic-Con experience and to see which artists we connected with, or some great shots of the #XYZsquad, read our Comic-Con recap blog and watch the recap video! 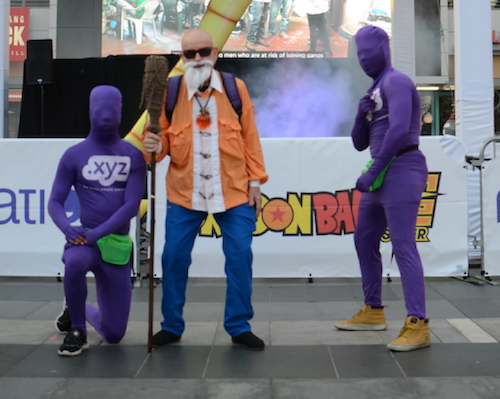 The #XYZsquad hanging out with Dragon Ball Z’s Master Roshi at Los Angeles Anime Expo, among more than 100,000 fans of Japanese media and culture. 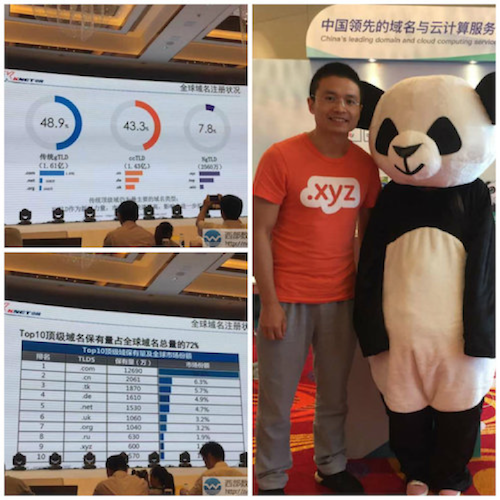 Mason from Team XYZ China (he’s not the panda) learning more about the Chinese domain market at GDS 2017 in Xiamen, China, co-organized by GoDaddy, AliCloud, Baidu Cloud, eName, and Bizcn. It was exciting to see GDS highlight .xyz as the only new TLD in the top 10 most registered domains in the world. 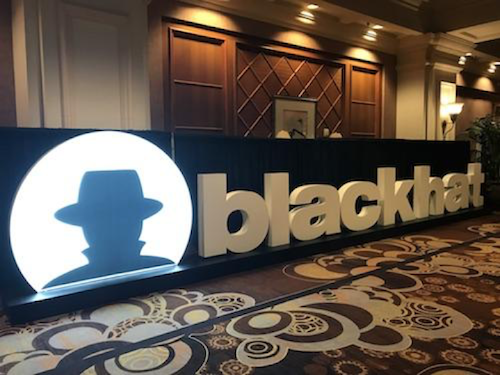 World-leading security firms like Hewlett Packard Enterprise, Bae Systems, Alert Logic, Check Point Software Technologies, Symantec and many more adopters of .Security and .Protection got together at Blackhat 2017, with more than 18,000 attendees. HostMight’s customers received a free .xyz domain, some stylish XYZ swag, and a personalized greeting from XYZ all the way from Santa Monica via video message. Want your .xyz site to be featured on our blog? Marketing Assistant Slate from Team XYZ poses for a photo at the Silicon Beach DTLA mixer. Want to meet up? Contact us to meet at your favorite event. XYZ took in the sights from atop Codesmith’s Playa Vista Penthouse. Connect with XYZ on Facebook for more information about where Team XYZ will show up next! XYZ met with talented artists and visionary creators at the ARt Show. We’re looking forward to all the awesome projects soon to come to .xyz. Check out our blog to see how other creators have used XYZ. Team XYZ attended the Silicon Beach Networking Mixer at Wurstkuche in Venice. Between mouthfuls of sausages, Marketing Assistant Jeremy connected with dozens of eager entrepreneurs looking to create the next great company. 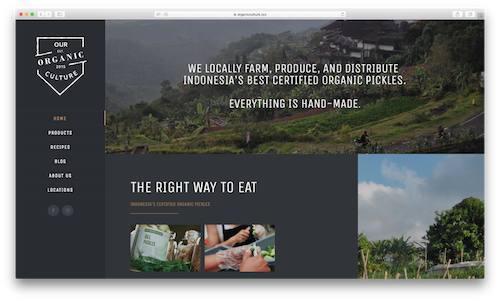 To see the kinds of businesses that use .xyz, check out gen.xyz/live. XYZ met with tech visionaries at Verizon Digital Media Services to get the lowdown on what the software company has in store. To see some of the other tech initiatives XYZ is involved with, check out our blog on our CoderDojo partnership. 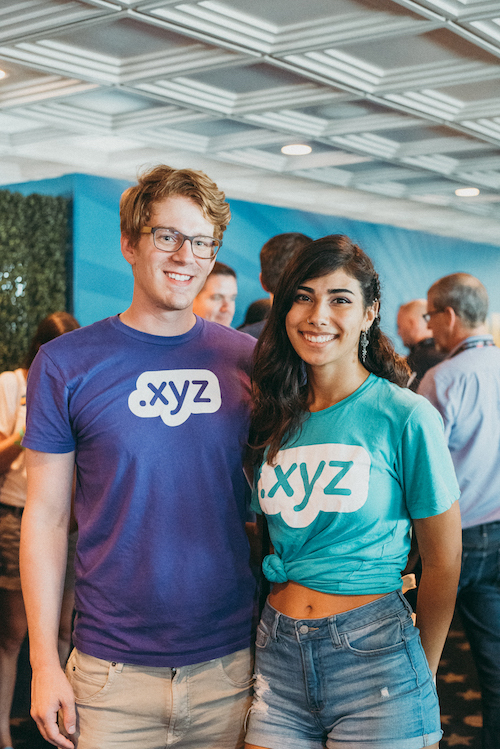 July took XYZ to exciting new events around the world and we can’t wait to connect with more of our partners and users in August. Make sure you don’t miss a beat – follow XYZ on Instagram (@XYZ), Facebook (/XYZ) and Twitter (@XYZ) for more of Team XYZ and the #XYZsquad! San Diego Comic-Con (SDCC) is one of the largest and most influential pop-culture conventions in the United States. What began in 1970 with 100 sci-fi fans in a hotel basement has transformed into an annual pilgrimage by comic enthusiasts from all over the world. Pulling in over 160,000 attendees in past years, SDCC 2017 was a five-day extravaganza devoted to all the movies, television, and literature that have made their mark over the years. 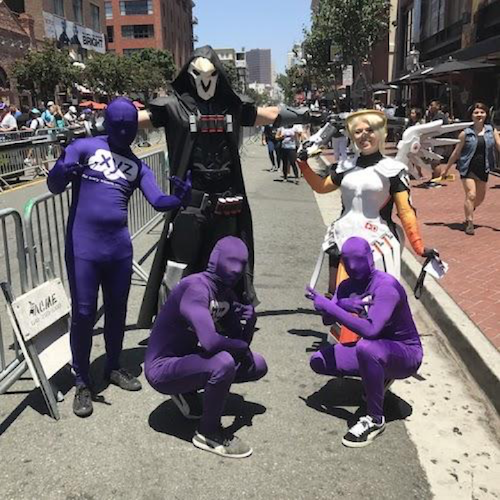 So, of course, Team XYZ and the #XYZsquad made the trip to downtown San Diego to introduce fans of all ages to .xyz, the domain extension for creative types, while also admiring the cosplay and connecting with artists. The heart and soul of SDCC is the convention floor. It takes up about every inch of space in the San Diego Convention Center and feels something like a mix of an exotic night market and being a cow in a cattle lot. Nevertheless, our intrepid social media expert, Tyler, braved the crushing claustrophobia and hit the floor to meet dozens of artists and creators to get them excited about .xyz. Wearing his stylish XYZ shirt, Tyler discussed the importance of a memorable domain with comic book artist and historian Scott Shaw, the creators of gonzo comic Man vs Rock, character designer and concept artist Tom Bryski, the incredible artists at Imaginism Studios, award-winning graphic novelist Robert James Luedke, and cartoonist/ illustrator, Rick Geary, to name just a few. 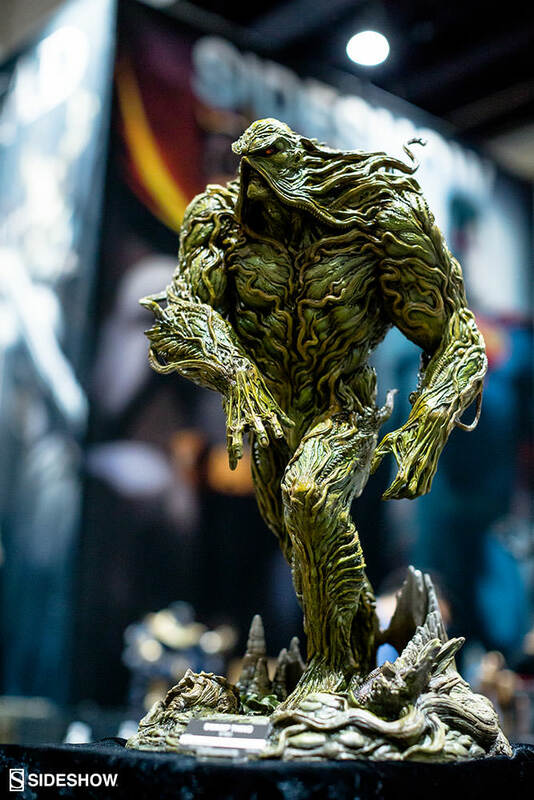 He also stopped by Sideshow Collectibles to talk about finding the right .xyz domain, marvel at their Swamp Thing Marquette, and score a little R2D2 time. Check out the Sideshow Collectibles video from Comic-Con and see Tyler’s interview starting around 2:08. As always, the #XYZsquad was quite an event unto itself. Over the course of the con, we gave away hundreds of XYZ shirts, 3D glasses, and promo cards. 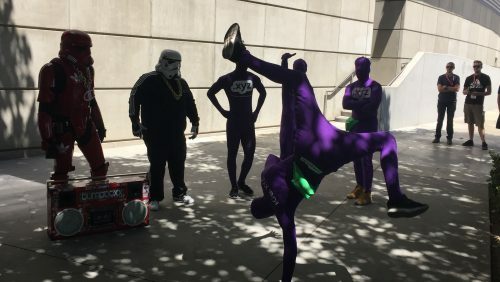 We also had the purple people on hand, gathering crowds hundreds deep for death-defying break dance shows in front of the convention hall. Check out which other videos XYZ made it into, by following our Facebook, Twitter, and Instagram! SDCC is so large that it’s impossible to do everything. Lining up for a panel to see the new Black Panther trailer could mean you miss out on your spot for the WestWorld VR experience or your chance to purchase an official Rick & Morty Portal Gun. But no SDCC would be complete without all the amazing industry events hosted around the town. First, XYZ made it into the IMDB yacht party and connected with photographers working for Amazon. Check out Tyler’s picture in his XYZ shirt on Amazon Prime Photos. The next night, SyFy’s Live From Comic-Con held an event with Zachary Levi, who played Chuck on the hit series Chuck, Andre Meadows, the host of Youtube’s BlackNerdComedy channel, members of the Battlestar Galactica cast, and many more. During the pre-show taping, the event’s host actually called Tyler on to the stage to ask him about his XYZ shirt. Not missing a beat, Tyler took the microphone and told the audience of over 5,000 people about .xyz and handed out some XYZ swag to the front rows. We can’t wait to see all the amazing registrations that will come from our time at SDCC 2017. 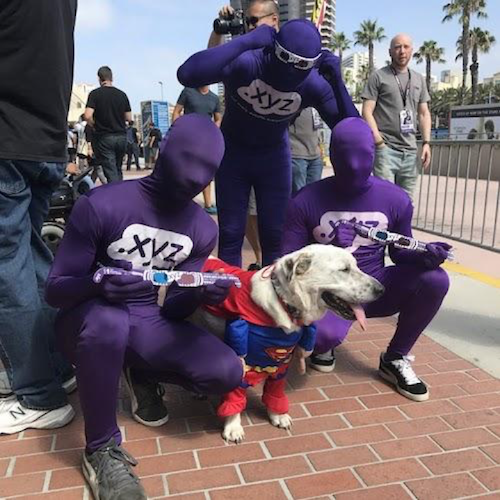 San Diego Comic-Con 2017 was an unbelievable opportunity for XYZ. We reached tens of thousands of passionate people and dozens of creative companies and artists and even though the event just came to a close, we’re already itching to get back! 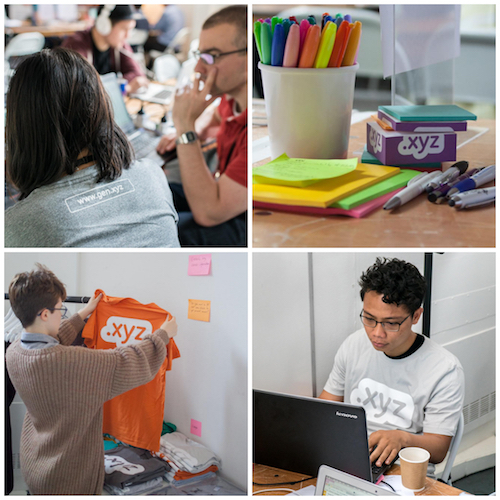 To catch up on the rest of the XYZ excitement in the month of July, check out our upcoming event recap blog and make sure you subscribe to our newsletter! Team XYZ was at some of the country’s biggest events in June to celebrate .xyz’s 3rd Anniversary. To kick things off, we introduced the innovative 1.111B® Class as part of our new AYDACFU campaign. We spent months planning and prepping, and our registrar partners all over the world did a fantastic job helping us launch this new initiative. And to commemorate turning 3, we hosted a BBQ by our Santa Monica office to go along with some entertainment from the #XYZsquad. Check out the video below and read on to find out where we went and what else we did to tell the world that .xyz just turned 3! Our huge AYDACFU marketing campaign surrounding the release of our 1.111B® Class was developed, in part, to reach a particularly tech-savvy #GenXYZ audience. So why not reach some of them at one of the largest video game conventions in the world? 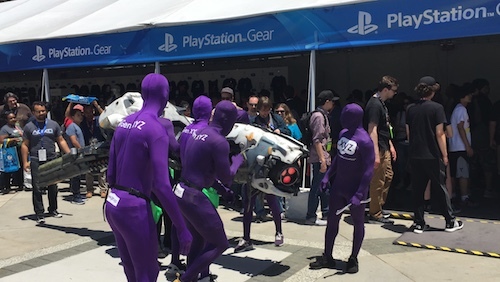 With close to 70,000 attendees, E3 2017 gave Team XYZ ample opportunities to connect with developers and designers to raise awareness of the 1.111B®Class. And in the end, the #XYZsquad stole the show by busting a groove at the convention. To see more of our E3 2017 coverage, check out our E3 recap post or watch the video below. Product Forge has become one of our top partners when it comes to organizing hackathons for future innovators and entrepreneurs. Our most recent event with them, the Cancer Innovation Challenge Data Dive, was a three-day collaborative effort between clinicians, designers, and engineers to improve cancer care. If you like what we’re doing with Product Forge, check out last month’s recap, which covers another hackathon with them. 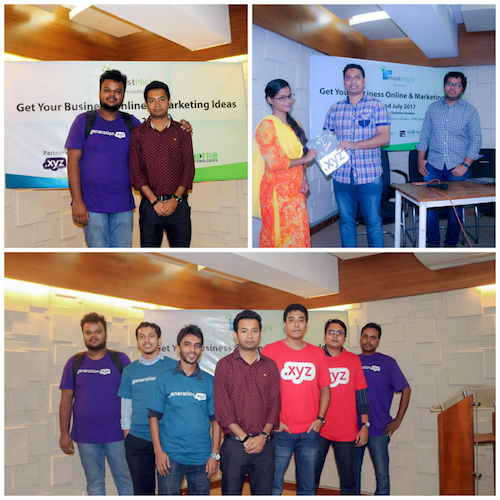 Throughout the month of June, we worked with our partner EyHost to encourage .xyz adoption in Bangladesh. 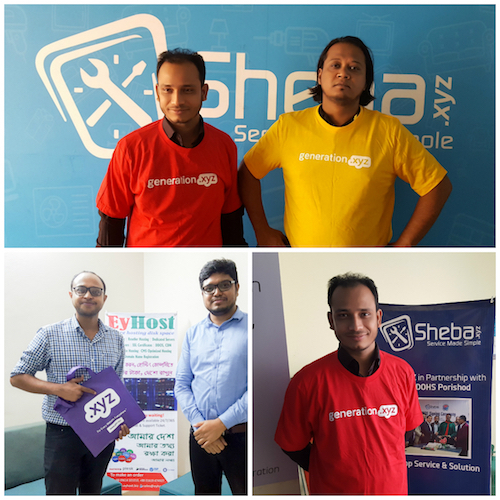 EyHost did a great job of hosting sponsored events to connect startups and small businesses, while educating them on how .xyz is being used by other Bangladeshis, such as Sheba.xyz and Socian.xyz. In fact, the team behind Sheba.xyz even invited some people over to check out their office! In case you missed them, be sure to read our previous #WebsiteWednesdays about Sheba.xyz and Socian.xyz. Then hop over to EyHost to check out their special offer on .xyz domains! June also saw the launch of a new partnership with CoderDojo, the international organization dedicated to teaching students aged 7 to 17 how to code. Through July 24th, all members of the CoderDojo community can apply for a free .xyz domain and all the tools necessary to create some of their first projects on the web. This partnership is yet another way that we are encouraging entrepreneurs to adopt .xyz to cultivate the Generation XYZ community. For all our younger readers, don’t forget to check out CoderDojo to learn how to code with a .xyz domain today! Of course, June wasn’t only about .xyz. We also teamed up with GoDaddy to cross the desert and attended NIADA 2017, the largest independent car dealership trade show of the year. Drawing nearly 2,000 general managers and owners from coast to coast, as well as abroad, this was the perfect place to educate dealers on the benefits of upgrading to a .Cars/.Car/.Auto domain, just like manufacturers Lucra.Cars and Renovo.Auto, as well as independent dealers, like Arizona.Cars and Brilliance.Auto have done already. Two of our favorite domains registered from the conference are VirginiaBeach.Cars and Z.Cars. To learn more about .Cars/.Car/.Auto, visit www.Go.Cars, or upgrade your domain at www.GoDaddy.Cars. 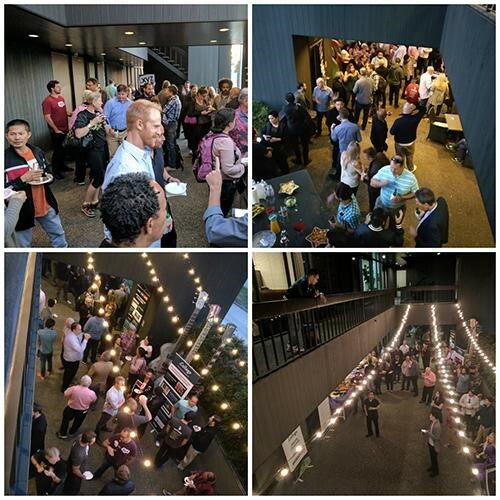 We attend a variety of events every month to educate the public on what .xyz is, who uses .xyz, and to connect with existing .xyz customers – June was no exception. Team XYZ started the month by attending The Los Angeles Pancakes & Booze Art Show, Jayme Stone’s Folklife Concert at the Annenberg Community Beach House, and Mayhem’s Imersiv concert. These three venues were intimate opportunities to connect directly with the next generation of internet users and introduce them to .xyz. We then finished the month by attending two Twilight Concerts, where thousands of Angelenos come every week to mingle in Silicon Beach. If you’re not in LA, catch the live action with the XYZ Team by following us on Instagram @XYZ! The summer is far from over and XYZ has a lot more in store. We are keeping the momentum of AYDACFU up to raise awareness for your new 1.111B® Class of domains. Be sure to keep a close eye on our Instagram (@XYZ), Facebook (/XYZ) and Twitter (@XYZ), to see what Team XYZ and the #XYZsquad have planned for the rest of the summer! Tomorrow is .xyz’s 3rd anniversary, and we’re going to be celebrating the special day in style, just as the most popular new domain in the world should. Millions of .xyz domains have been registered in over 230 countries, and leaders, creators, and innovators from every industry have joined the #GenXYZ movement to make .xyz the go-to domain for the next generation of internet users. From industry icons like Deloitte (Exponentials.xyz and FutureFin.xyz) and the Massachusetts Institute of Technology (Engine.xyz), to creators like Point in Passing (WWWWWWWWWWWWW.xyz) and innovators like Starship.xyz, the next big thing is always happening on a .xyz domain. That’s why today marks a new dawn for the internet, and a paradigm shift to .xyz. You’ve no doubt seen the cryptic messages that have taken over XYZ’s social media pages (and a few of our partners’ pages as well), and today the meaning of AYDACFU has officially been revealed: All Your Domains Are Come From Us. This is not only a celebration of .xyz’s success to date, but a statement of its future direction, and the direction for new internet users. You want a website to host your personal blog? Get YourName.xyz. Looking to bring your business online to the massive internet marketplace? Secure YourBrand.xyz. Ready to share your world-changing idea with an international audience? Grab YourIdea.xyz in one of 200+ languages. No matter who you are or what you want to do with your site, ALL YOUR DOMAINS ARE COME FROM US. But .xyz isn’t just the perfect domain for right now, it’s also equipped for the future of internet. Rising new internet technologies have created unmet demands that businesses are seeking to fill. That’s why XYZ has partnered with registrars like Uniregistry, GoDaddy, and Name.com to introduce a new paradigm of innovation on the internet, called the 1.111B® Class. Starting today, all 1.111 billion 6-digit, 7-digit, 8-digit, and 9-digit numeric .xyz domains will retail for $0.99 per year, every year to register, renew, and transfer at participating registrars. This first-of-its-kind segment of domains are ideal as an inexpensive platform for Internet of Things device connectivity, vanity identification, digital currencies, and any other creative uses #GenXYZ can think of. With no minimum or maximum registration requirement, the 1.111B® Class is flexible enough to serve in individual uses like app testing (e.g. 0000001.xyz) or as a VoIP number (e.g. 9998422.xyz), or in sequential blocks to pair with serial numbers (e.g. 12300000.xyz – 12399999.xyz). And, seeing as thousands of numeric .xyz domains are already being exchanged, the 1.111B® Class also make perfect sense as tradeable assets or tools for digital currency economies. Its newly reduced $0.99 transfer fee also allows more 1.111B® Class domains to enter circulation with nominal acquisition and carry costs. Read our CEO’s in-depth thoughts on this topic on his official blog. In the coming weeks, the #XYZsquad will be out in the wild spreading the word about AYDACFU and the 1.111B® Class to the masses, so follow us on Twitter (@XYZ), Instagram (@XYZ) and Facebook (/XYZ) for the first word on all of the exciting events we have planned! To learn more about the 1.111B® Class, read the white paper and our official press release. Then, start searching for your favorite numbers, dates, and patterns in our new 1.111B search tool. The next generation of the internet is here – don’t miss your chance to be a part of the revolution. And remember: ALL YOUR DOMAINS ARE COME FROM US. XYZ invites all registrars to support the 1.111B® Class. Contact us to learn more. Q1 2017 flew by and Team XYZ hasn’t slowed the mission to further spread the word about the world’s #1 new domain extension .xyz. We went to three events in our hometown of LA and also made a trip to the Rockies to attend one of the biggest automotive industry events in the country! Earlier this month, the LA Convention Center hosted the final Global HostingCon event. As part of the festivities surrounding the event, XYZ was invited to attend our partner DreamHost’s VIP Industry Party at one of LA’s hippest locations, Bar Thirteen in downtown. The XYZ team met lots of new and familiar faces and we got to share the great success of .xyz with industry veterans, like Dave Koston from Help.com (top picture, first person from the right). The event ended sweetly for the entire XYZ office as the team brought back some gourmet chocolate bars courtesy of our friends at Dreamhost! 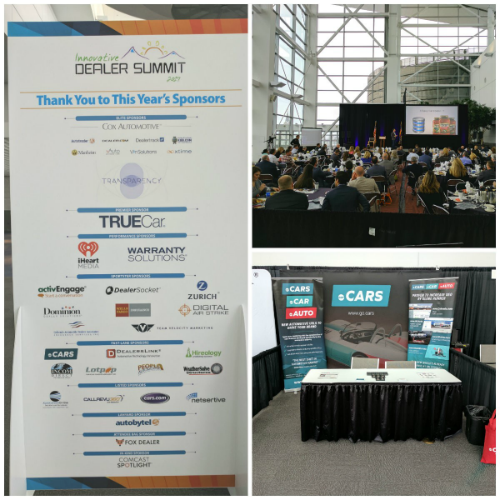 In between events in the warm SoCal sun, the team flew east to a very snowy Denver to attend the Innovative Dealer Summit, which was held at the Colorado Convention Center right in the middle of downtown. The summit hosts 40+ industry experts from around the country who educate dealership owners and dealership groups about the newest marketing trends and strategies in the automotive industry. Dealers attended sessions on using innovative marketing tools and were excited to talk with our team about .Cars, .Car, and .Auto domain names for their businesses. Attendees lined up at our booth to get info on the SEO benefits of .Cars/.Car/.Auto URLs and to learn how to register their own valuable names. Even the President of the Innovative Dealer Summit, Tim Jackson, knew about the unbeatable value of these automotive domains as his own dealership uses the URL Colorado.Auto. As April wound to a close Team XYZ was back in our Santa Monica home base, and we closed out the month by attending back to back tech industry happy hours along with hundreds of hungry entrepreneurs. 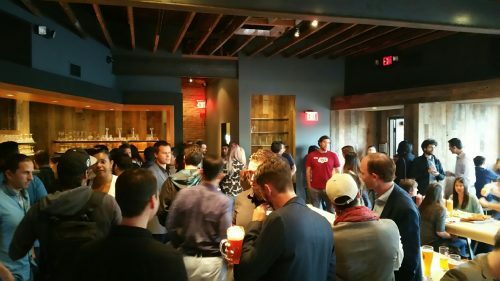 First up was the Santa Monica New Tech April Happy Hour, where the team spoke with dozens of app developers, startups, and coders looking to get their businesses off the ground. After checking gen.xyz to see that the domains they wanted were available, the attendees could register them for just $1 for the first year by using the promo code on the XYZ 3D glasses. We can’t wait to see what they’ll built on these .xyz domains! The second night of the XYZ happy hour double brought the team to the luxurious Viceroy Hotel, overlooking the famous Santa Monica Pier for the Silicon Beach Young Professionals Mixer. 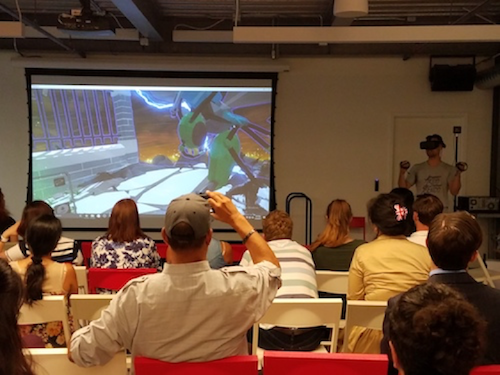 Our team met with movers and shakers from hot new industries like VR, as well as LA-original firms from TV & Film. Everyone we spoke to was excited to hear about .xyz and positively surprised by the huge amount of household name use-cases. We loved being able to spread the word about some of our favorite .xyz end users like Rascali.xyz and Hooli.xyz. Many of the young professionals in attendance left inspired to build their next big thing on a .xyz domain. We’ve got some big event plans for May already and are looking to add even more. You can stay tuned to see where in the world Team XYZ will be going to next by following us on Twitter and Instagram @XYZ! March was an extremely event-full month for the XYZ Team. Our travels and initiatives spanned 3 continents and landed us some great coverage at one of the most recognized festivals in the world. 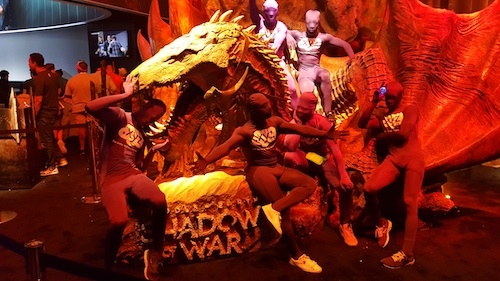 See what we were up to last month in our March event recap! Early in March, we had the pleasure of sponsoring ANova Hacks held at the University of California, Berkeley. ANova Hacks is a student-run hackathon that brings together high school students from across the Bay area for a 10-hour coding event. Not only is ANova Hacks a programming competition, but it features workshops throughout the day to teach students how to code. In fact, several participants had no prior coding experience, but still turned in completed projects at the end of the day. You know the XYZ movement is in full-force when the next generation is building their first-ever website with a .xyz domain instead of a .com! 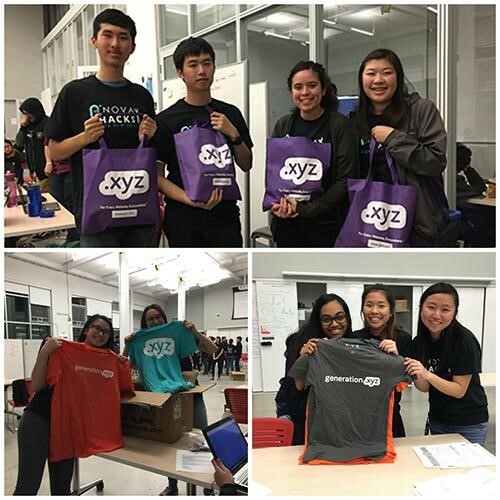 We couldn’t be more proud of ANova Hacks mission, and we’re glad each participant was able to come away from the experience with a .xyz domain, XYZ swag, and invaluable coding skills. We look forward to sponsoring their next event! Next up was ICANN 58, where our Global Director, Shayan Rostam, headed off to Copenhagen, Denmark to meet with our registrar partners about upcoming marketing initiatives and to share some big news. 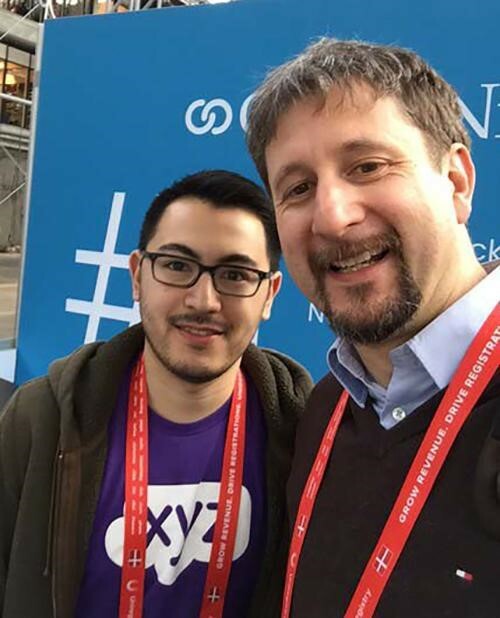 We can’t say anything publicly yet, but if your registrar didn’t have a chance to meet with XYZ at ICANN, be sure to contact us ASAP – you’ll definitely want to hear this! The standout event of March was by far the South by Southwest (SXSW) Festival in Austin, Texas. This was our 3rd time in attendance, and this year the #XYZsquad did it bigger and better than ever before! 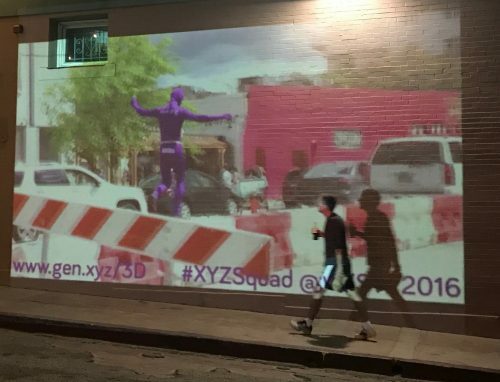 If you were at SXSW, chances are you ran into the #XYZsquad parkouring, breakdancing, and taking thousands of pictures with attendees throughout the streets of Austin. You probably also saw our infamous 3D glasses in the crowds, with people checking out the XYZ 3D Lab on their phones. 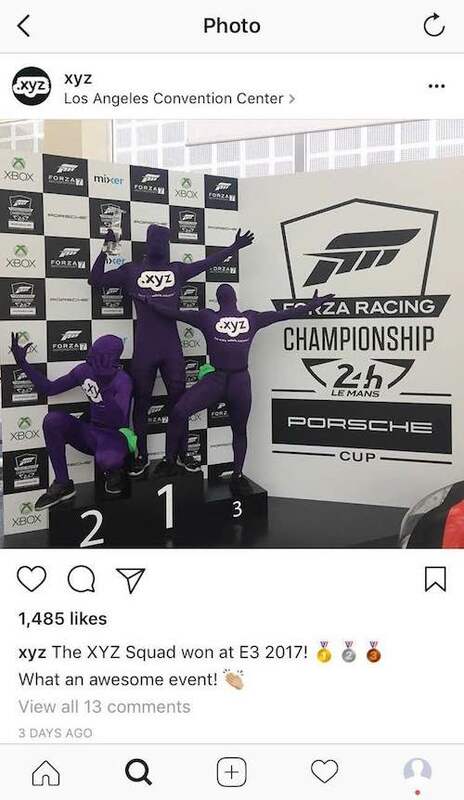 In fact, the #XYZsquad was such a hit that they were covered by Fox 7 Austin, Spectrum Reach’s Kernel, Comcast, and the official SXSW and Bravo Network Snapchat accounts. They were even the main highlight of our Scavenger Hunt! 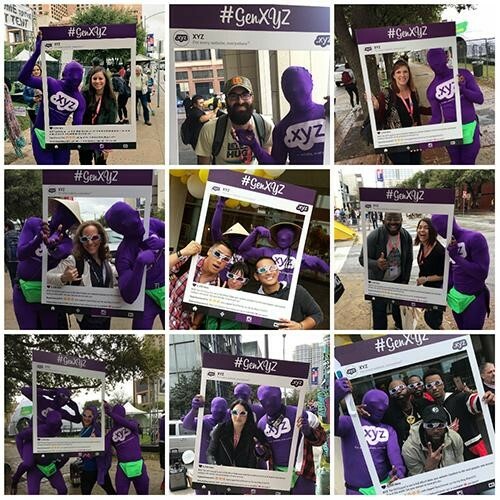 The #XYZsquad has now become a mainstay of SXSW, and they are already gearing up for next year! Be sure to check out the full blog post here. SXSW wasn’t the last that we saw of the #XYZsquad in March. Shortly afterward, the #XYZsquad was off across the ocean to Wuxi, China to participate in the Wuxi Marathon. The Wuxi Marathon consisted of 30,000 runners and attracted over 170,000 spectators from all over the world. 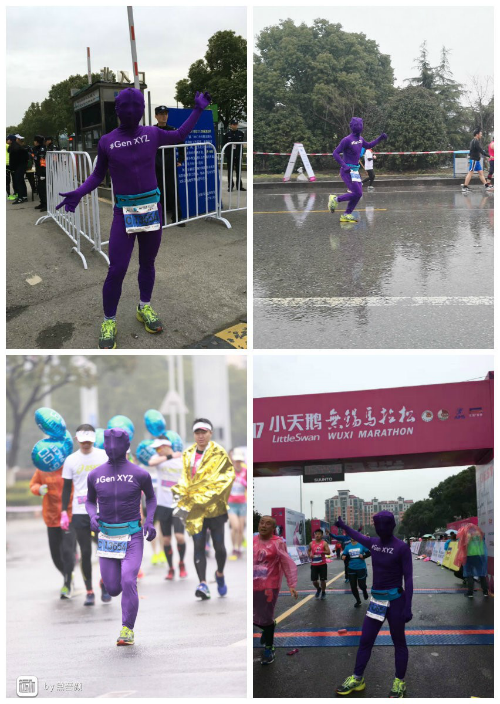 The #XYZsquad participated in the event, running the entire 42km (26 miles), all while raising awareness for .xyz in China. We want to tip our hats to all the runners at the event, and congratulate everyone who participated for their perseverance. Check out our full write up about the marathon here. Despite our global popularity, we like to stay involved in the local tech scene throughout Los Angeles, which is why we attended the TechX & Expo in Studio City, CA. 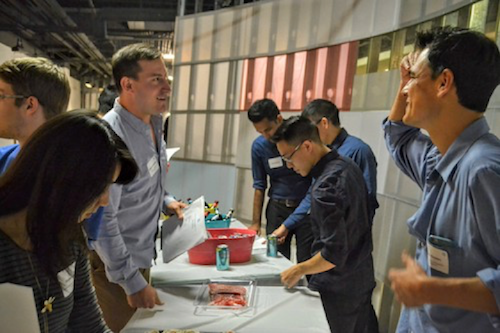 TechX brought together local tech startups and businesses to showcase their products and services. 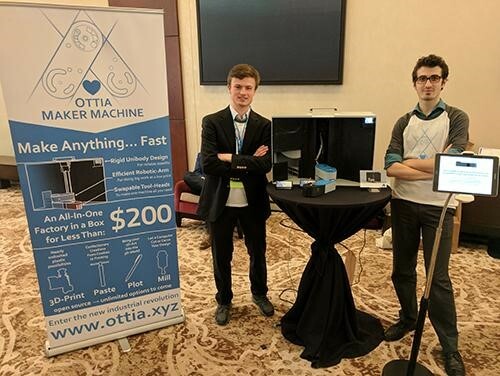 It was a great opportunity to learn about the newest technologies coming out of our backyard, and also encourage them to share their ideas with the world on their very own .xyz website. Thanks for having us TechX! After an incredibly busy March, Team XYZ wrapped up the month by hosting an event of our own – The SoCal Domainers & Cybersecurity Professionals meetup! This was our third time hosting the event, and it’s something we now look forward to hosting at least once a year. This was the first meetup to also host local leaders from the cybersecurity industry, which meant we could not only talk about domains, but also share some the proactive measures XYZ is taking to mitigate abuse. We always enjoy catching up with old friends, and we’re so glad we could make new ones too! We hope everyone had as great of a time as we did. The XYZ Team was all over the world in March, but as always, we are already planning our itineraries for next month! Are you attending an event that you think that #XYZsquad should be at? Let us know on Twitter @XYZ!